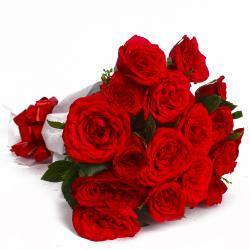 Product Consist :12 Muti color Roses with green fillers in Tissue Paper Wrapping with Ribbon Bow on it. 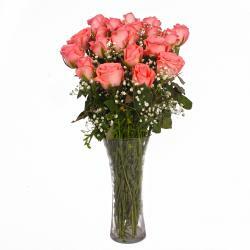 When it comes to sheer loveliness, nothing can beat these alluring flowers. 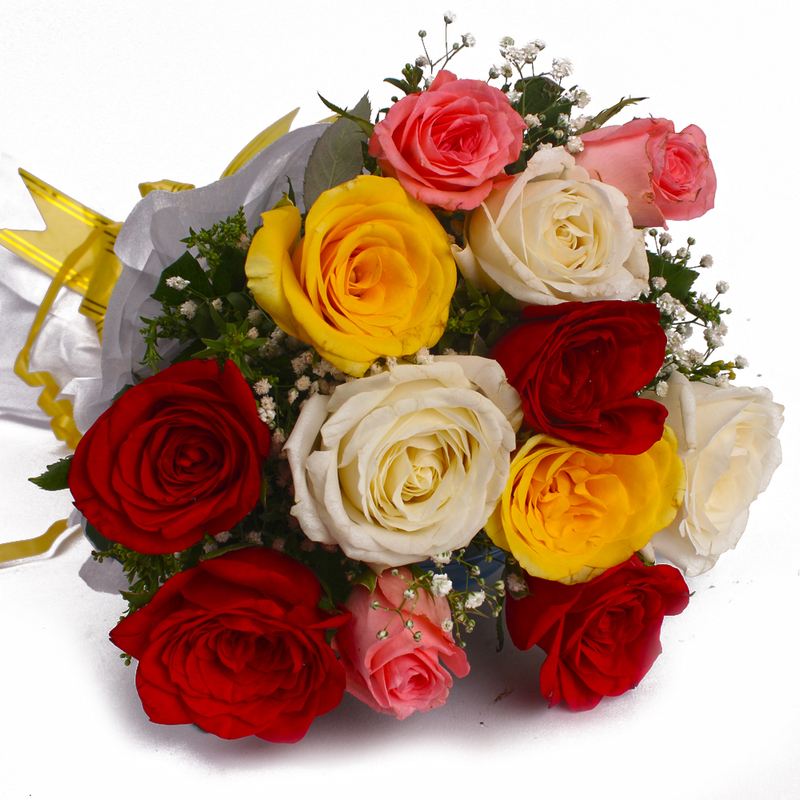 This pack contains a bunch of Twelve Mix Roses. 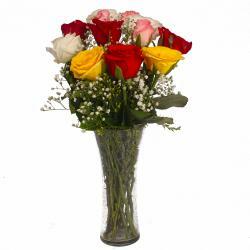 These flowers will be a treat to behold and will leave you spellbound without a doubt. 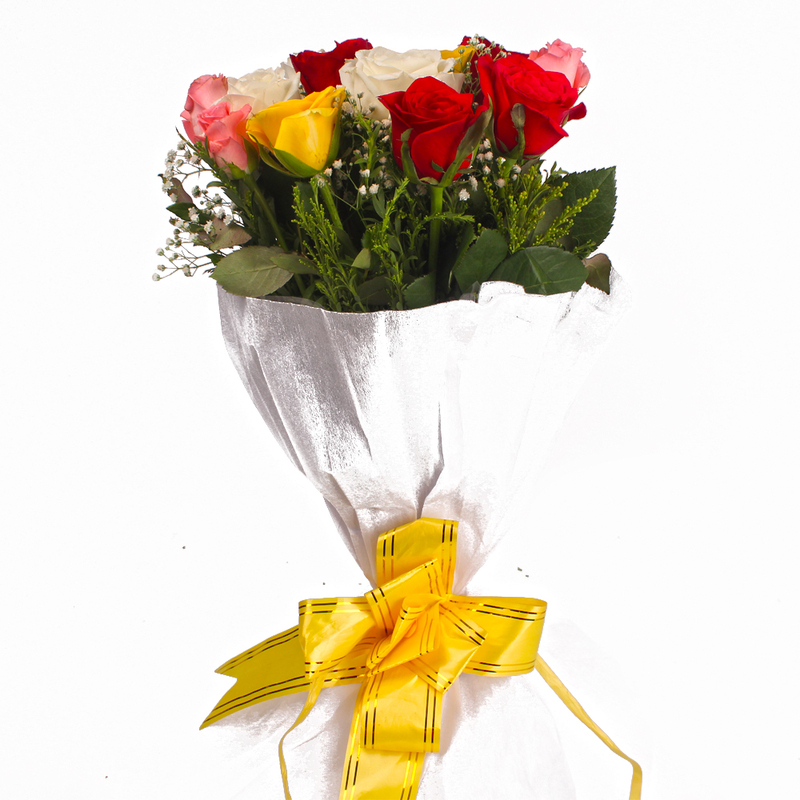 These flowers have been impeccably packed in quality tissue paper and also come with a matching ribbon bow. You will fall in love with these flowers at the very first sight itself. Gift these to friends and family members on Weddings, Birthday, Anniversary, Good Luck Gifts, Gudi Padwa / Ugadi, Daughters Day and more occasions. 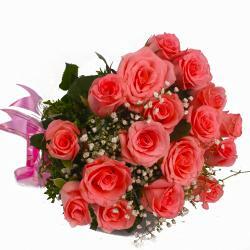 Product contains : 12 Muti color Roses with green fillers in Tissue Paper Wrapping with Ribbon Bow on it.